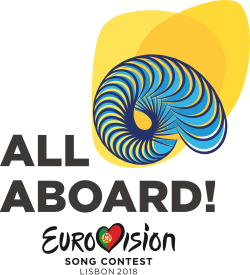 Next up on our Song-By-Song preview is the official entry from Spain, “Tu Cancion” by Amaia y Alfred, written by Raúl Gómez and Sylvia Santoro. The song title translates to “Your Song” and is performed in Spanish. Amaia Romero and Alfred Garcia met on the Spanish talent show Operación Triunfo, where she won the 2017 competition and he came in fourth. Spain is one of the “Big Five” along with the UK, France, Italy, and Germany and has an automatic “bye” advance to the Grand Final. This song has been VERY popular with EuroVision fans thus far; many of the favorites countdowns I’ve been watching on YouTube have it in the top 5, although it hasn’t topped ANY of them. It’s a very pretty love song duet, and the video is excellently staged, but compared to other songs entered in this year’s contest, I find it yawn-inducing. Not to say I don’t like it – i DO, very much in fact – but there’s better fish in the pond, so to speak. The song is also a natural for the US Latin charts – they frequently feature hits from Spain and other Spanish-speaking nations, so their chances to make it in the latin market in the US are very very good. Surprisingly, SpaIn didn’t debut in the EuroVision contest until 1961. Since their debut, they have never missed a contest, so they’ve appeared fifty seven times. Both of their Grand Final championships occurred in the 1960s, and they were back to back, winning in 1968 with “La la la” by Massiel , and in 1969 with “Viva cantando” by Salome, which was part of the infamous four way tie that year with the UK, France, and the Netherlands. They have also finished second four times, with one of those second-place finishers, 1973’s “Eres Tu” by Mocedades, considered to be a EuroVision classic and becoming a worldwide hit, even in the US, where it hit #9 on the Hot 100. They’ve also finished with “nul’ points three times – in 1962. 1965, and 1983, and have managed a top ten finish only twice since 2005. In case you’re interested, I will post my list of all 43 songs in the order of my favorites at the end of our song by song preview in early May, so keep tuned in! We’re featuring THREE songs a day the rest of this week, FOUR songs each this weekend, and will wrap things up with three final songs next Monday!